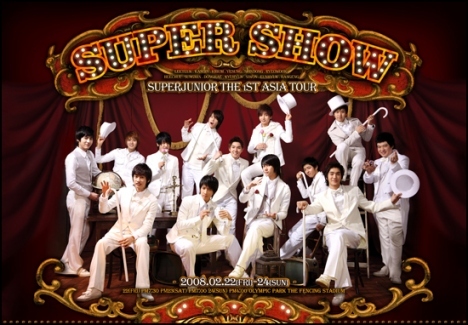 Group Name : Super Junior (Korean: 슈퍼주니어) a.k.a SJ or SuJu (슈주). 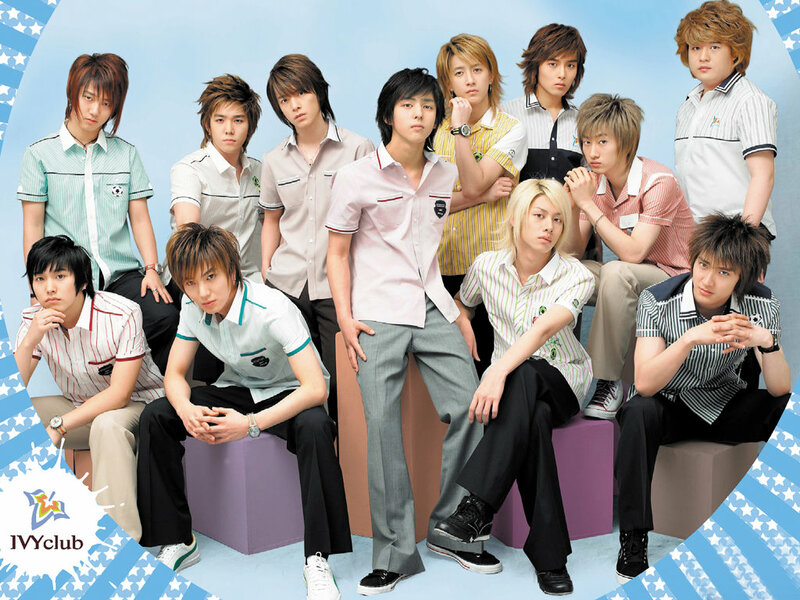 Member of SuJu : Leeteuk (leader), Heechul, Han Geng, Yesung, Kangin, Shindong, Sungmin, Eunhyuk, Donghae, Siwon, Ryeowook, Kim Kibum and Kyuhyun. Over the years, they have been divided into smaller sub groups, simultaneously targeting different music industries and audiences. Largely due to Super Junior’s success as entertainers, other Korean entertainment managements began to train their music groups in other areas of entertainment, such as acting and hosting. In addition to their commercial success, Super Junior has earned seven music awards from the M.net Asian Music Awards, eleven from the Golden Disk Awards, and is the second singing group to win Favorite Artist Korea at the 2008 MTV Asia Awards after JTL in 2003. As a whole, Super Junior has released four studio albums and one physical single, including occasional contributions to drama soundtracks. They are acclaimed for their vocal harmonization and unison as each member contributes a different voice range in their music. 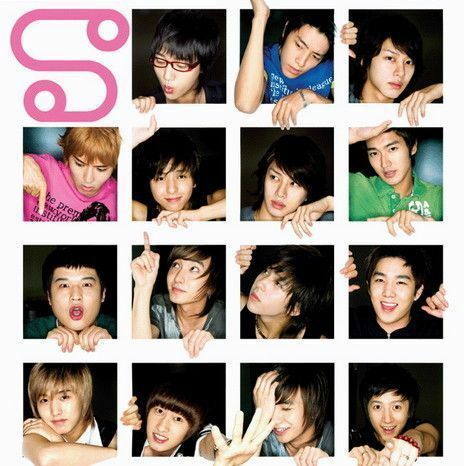 Leeteuk, Heechul, Hangeng, Sungmin, Eunhyuk, Donghae, and Ryeowook are all tenors. Yesung, Kangin and Siwon are baritones. Kyuhyun, Shindong and Kibum are basses. Some members are credited for their vocal belting techniques. 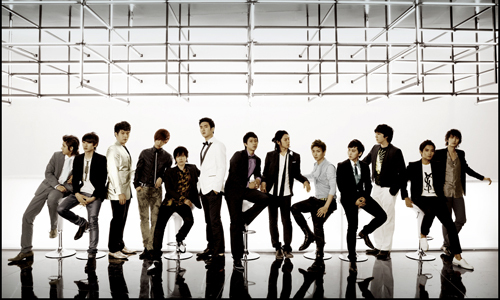 Super Junior works closely with Young Jin Yoo, who has produced and arranged most of the group’s promotional singles since debut. Yoo’s also known for creating the renowned SMP style, a genre that includes a balanced infusion of rock, R&B, and rap, with complementing musical elements such as the electric guitar, bass, and other different percussion instruments. Super Junior has prominently used this SMP style in Don’t Don. Super Junior are known for doing performances that are heavily centered around their choreography, and are acclaimed for their highly synchronized dances. The group’s pre-debut performance was a hip hop dance and they have also joined B-boy battles and performances throughout their career. Their dance styles are widely termed as street dancing, with a majority of their choreography containing hip hop dance moves such as popping, waving, floating, and liquid dancing. Dances in the form of martial arts are widely used in their dance routines as Han Geng and Sungmin are professionally trained in that area. Shindong was the main choreographer for “U” and for a majority of the group’s other dance sequences. The dance for “Sorry, Sorry” was choreographed by Nick Bass, who has also worked with Justin Timberlake. Eunhyuk choreographed the dance for “Boom Boom” and worked with the other members to create the dance choreography for “Don’t Don” and “Marry U”, both promotional singles for the group’s second album. 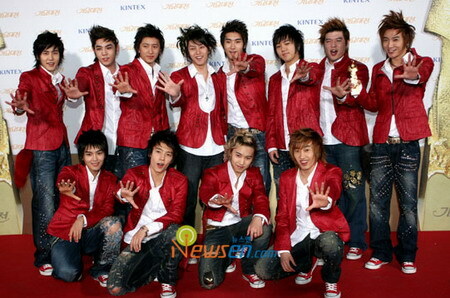 Since debut, SM Entertainment has created four subgroups for Super Junior. 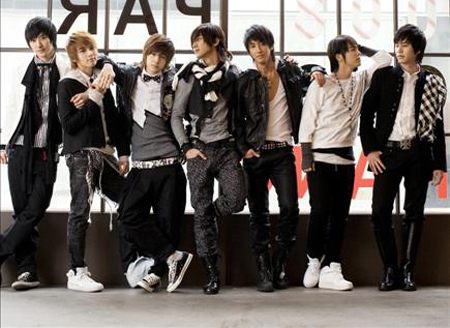 Every member was put into different subgroups excluding Kibum, due to his busy acting schedule. 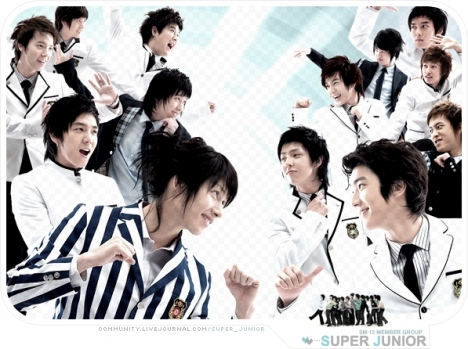 The intentions of the subgroups were part of SM’s strategy to not limit Super Junior’s activities, and the goal was to show that the group could accommodate different musical genres. However, this strategy was later challenged by critics, as it has influenced an overwhelming amount of music groups to create official and unofficial subgroups alike. SM announced that Super Junior will form more subgroups in the future, and possible focuses of these subgroups include a variety of genres such as rock and hip hop. Previous Super Junior subgroups will also return to the industry along with appearances of new subgroups. Super Junior-K.R.Y are credited to singing mournful, R&B-style ballads, a style that has proven very popular in recent years although stagnation in the style’s development is causing it to lose its once fresh evocative power. Super Junior-K.R.Y’s first official performance was on November 5, 2006 on KBS’s Music Bank, performing “The One I Love (한 사람만을). “They have participated in the original soundtrack of the tvN drama Hyena with a total of three tracks, including the main theme. The trio also contributed tracks in two additional original soundtracks, one track in both the soundtracks of Snow Flower and Billy Jean Look at Me. 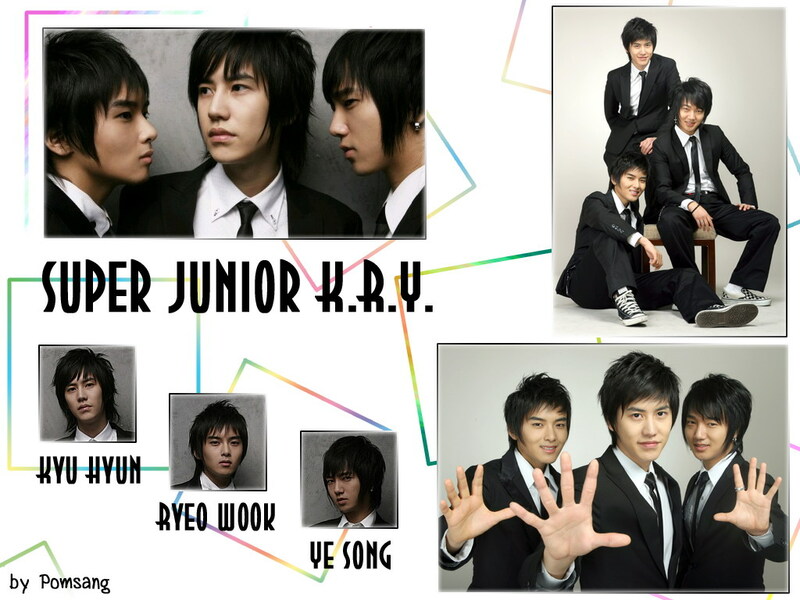 Unlike Super Junior’s other sub-units, Super Junior-K.R.Y has not officially released a single or album, and only participated in collaboration albums and original soundtracks. Super Junior-Trot (Korean: 슈퍼주니어-트로트), officially known as Super Junior-T (Korean: 슈퍼주니어-티) is the second official sub-unit of Korean boy band Super Junior. They are the first idol group known for capitalizing trot music, the oldest form of Korean pop music. 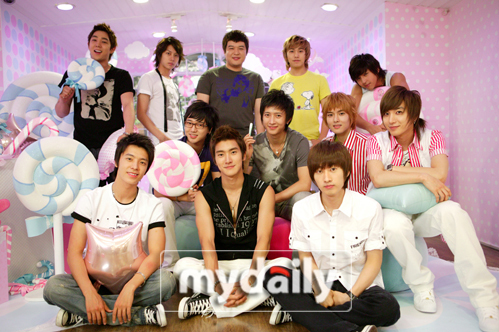 Member : Leeteuk (the leader), Heechul, Kang-in, Shindong, Sungmin, and Eunhyuk. 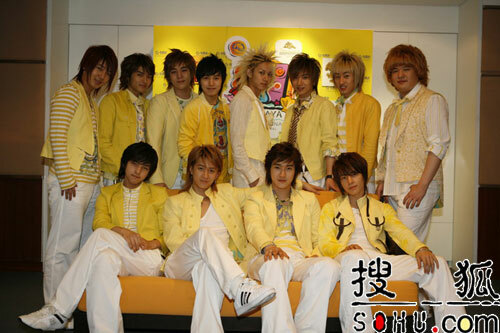 Before the official name of the subgroup was released, they were often referred to as Super Junior China. On April 3, 2008, SM Entertainment released the official name of the subgroup, Super Junior-M, with “M” representing the word “Mandarin,” expressing the subgroup’s ambition to become successful in the Chinese music market not limited to only China. The “M” can also represent a list of other aspects, such as the first letter of their debut album, Me, and also “mi” (Chinese: 迷), which denotes to “charismatic” as well as “fan” in Mandarin, the latter meaning referring to their desire to connect closer with fans. Super Junior-M’s goal is to bring the Korean pop influence over to the Chinese market, re-representing the hits in Mandarin. 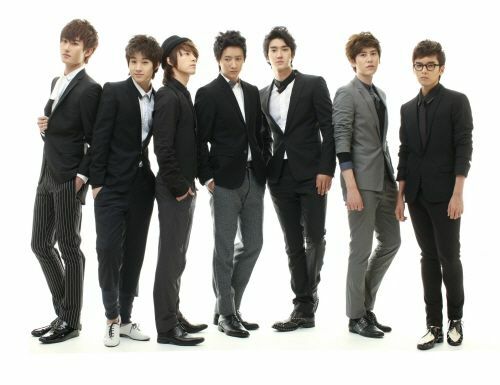 Similar to the style of their main group Super Junior, Super Junior-M’s music style falls into the category of mainstream pop, dance, and R&B. Dance pop songs with rock and hip hop influences are easily heard in their music, such as in “Me” and “The Moment”, which contains guitar riffs and heavy bass sounds. Rap is not performed as often like the main group, but these influences can be heard in “The Moment” and also the rap remakes in “Don’t Don” and “A Man In Love”. 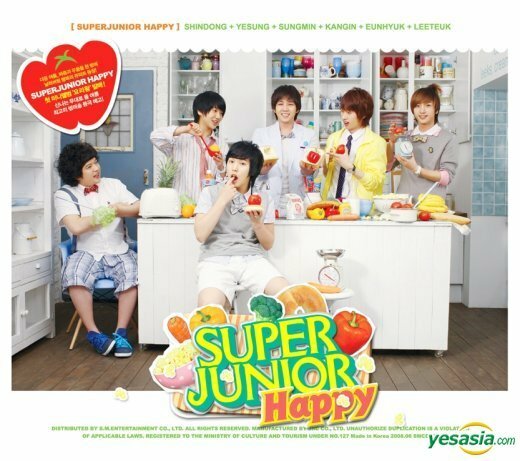 Super Junior-Happy (Korean: 슈퍼주니어-해피), sometimes referred to as SJ-Happy or Suju-Happy (Korean: 슈주-해피), is the fourth official sub-unit of Korean boy band Super Junior. Member : Leeteuk (the leader), Yesung, Kang-in, Shindong, Sungmin, and Eunhyuk. Posted on December 7, 2010, in Asian's Music Group and tagged All About super junior, Super Junior, Super Junior M, Super Junior T, Super Junir KRY. Bookmark the permalink. 57 Comments. huh ? me ??? come on im jst a 12 years old ! 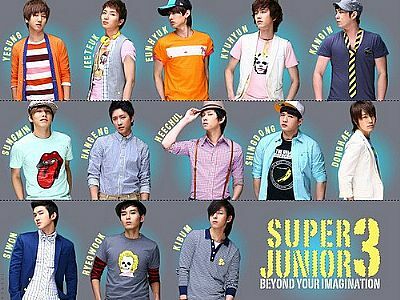 hey , I LOVE SUPER JUNIOR ( EUNHYUK ❤ ) actually all : P wait how come most of the pictures are only 12 members ?? 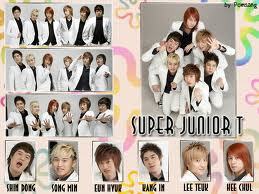 I LOVE SUJU !!! 슈퍼 주니어 성공 그리고 당신은 영원히 실행이 있길 . i thought one of them is nt in SUJU again ? 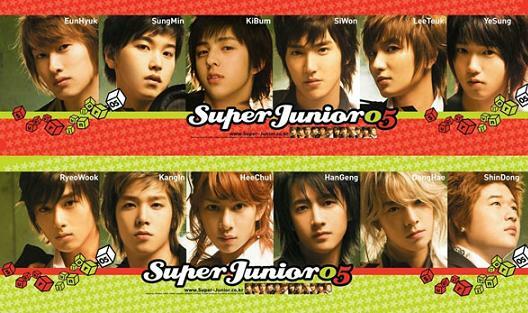 kibum or kangin nt sure !! btw I LOVE SUJU !!!!!!!!!!!!!!!!!!!!!!!!!!!!!!!!!!!!!!!!!!!!!!!! hi! i just love them so much ! They r so cute. Do you also think that? i have the best!! sexii!! sexyyy!! agree?? Who Is THe MOst You Like In Su_ju? j think,this band very2 wwaaaaaoooooo!!!!!!!!!!!!!! super junior is my favourite band……. 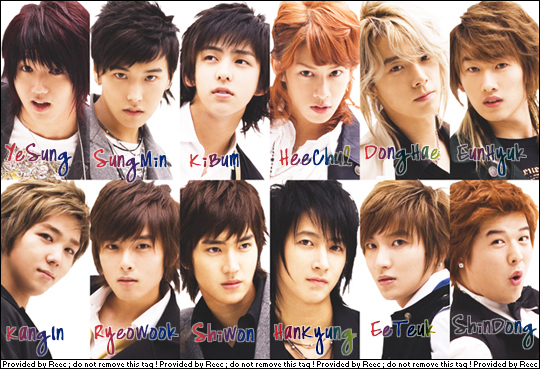 LOL Super Junior why i love you and it you is my favorite songs from there and KiBum is so handsome. i love SUPER JUNIOR so much,,!!! but to me..,,all suju member are really awsome!!! 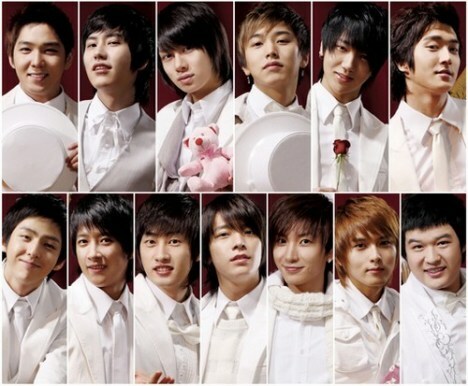 hi super junior… GOD BLESS you all.. i pray more project to come.. suju 13…. annyoung haseyo SUJU i really really love SUJU especially sunbae LEETEUK,HEECHUL,YESUNG,SUNGMIN,KYUHYUN,& KIBUM!always pray to GOD that more project 2 come.SUJU FIGHTING!saranghae! go suju! more projects 2 come and live healthy! GodBless! Fighting! cho kyu hyun you are my foever. im your avid fan more p0wer and we wish u all GOODHEALTH!! Weq Hee Chul!!!!!!!!!!! I Like It!!!!!!!!!!!!!!!! I Love Hee Chul And Ki Bum!!! Especially to Choi Si Won and Kim Kibum!!! Kim Kibum is really very cute…..